This week, Alpher discusses the significance of the Pope's visit to the Holy Land; whether the June 10 presidential elections is something to get excited about or just another ho-hum affair; and whether we about to witness a new Israeli unilateral initiative. This week, Alpher discusses the new "iNakba" app; last week's visit by PM Binyamin Netanyahu to Japan and of President Shimon Peres to Norway; what Israeli chief negotiator Tzipi Livni's meeting in London with Palestinian leader Mahmoud Abbas against a backdrop of surprising progress in the Palestinian drive to form a Fateh-Hamas unity government tells us about the chances for reviving the peace process; and the level of intrigue over the Knesset electing a new president to replace Shimon Peres. This week, Alpher discusses Martin Indyk's remarks about his impressions from the now suspended Israeli-Palestinian peace process; accusations of Israeli spying on the United States; and why the Syrian Army's recapturing rebel strongholds in the city of Homs as rebels withdrew peaceably under a broader agreement is significant. This week, Alpher discusses why the Netanyahu government threatens to refuse to negotiate with a Fateh-Hamas Palestinian Authority unity government; what settler "price tag" attacks and provocations focused over the past two weeks on targets in Israeli Arab towns and villages rather than in the West Bank and East Jerusalem tells us; PM Netanyahu's renewed effort to legislate a basic law proclaiming Israel a Jewish state and Israel's sixty-sixth Independence Day. 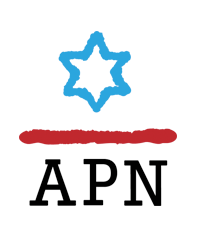 This week, Alpher offers an assessment of where the American-brokered Israeli-Palestinian peace process stands now, with the nine-month period allotted for the process expiring officially this Tuesday and what next; what happens if there is Palestinian success at forming a unity government; or if there is not; What sort of unilateral move might Israel now invoke; will there be another American initiative; and what kind of unexpected possibilities should we expect? This week, Alpher discusses the flurry of obstructive peace process-related events of the past week, what derailed the process, and what could save it; the broader international situation; more basic or strategic factors informing the crisis; how serious the immediate damage is and how all this affects Israeli politics. This week, Alpher discusses what Olmert's conviction for receiving bribes means for the peace process; why Netanyahu refuses to release veteran terrorist prisoners who are Arab citizens of Israel; how this issue jibes with a new Israel Foreign Ministry document that appears to find legal justification for Avigdor Lieberman's proposal to transfer Arab-populated parts of Israel to Palestinian sovereignty under a two-state redrawing of borders. 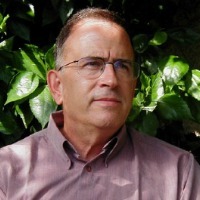 This week, Alpher discusses why Israel is hesitating to release another group of Palestinian prisoners this week; the Hamas connection; if the US-sponsored two-state talks will be extended; the upset in Israel-US relations by Israeli statements and actions, mainly regarding Iran; and whether there is an Iranian parallel to Yaalon's challenge to the current international effort to reach a nuclear agreement with the Rowhani government. This week, Alpher discusses how serious Netanyahu's reported sponsoring of a study of the existence of Belgian and Dutch sovereign enclaves in each other's territory with a view to proposing a similar model for Israeli settlements that remain inside Palestinian territory under a two-state solution; the similarities and differences of Israeli operations: the Israel Air Force reportedly destroying Syrian-supplied strategic weaponry at a Hezbollah base and the Israel Navy captured a ship in the Red Sea carrying Syrian rockets sent by Iran to Islamists in Sinai or Gaza; was there anything unique about the circumstances of the alleged IAF attack against a Hezbollah base; why all the publicity on the Red Sea operation.